There is so much to see and do from the Bordeaux region down to Biarritz and the Basque country and across into Rioja in northern Spain. Visitors are spoilt for choice! Here are some of the top picks selected by the team at Greens and Grapes for wine lovers and goodies. 11 July-28 July 2016 Les Grand Crus Musicaux: The Festival Musical des Grands Crus combines the love of classic music with Bordeaux’s great wines. You can enjoy concerts in several of the most prestigious wine estates, including of course Château Pape Clément and Château d’Agassac with whom Greens and Grapes are partners. The concerts are punctuated by a wine tasting accompanied by appetizers.ay of December at the port of Andernos-les-Bains, a charming village on the Arcachon Bay an hour by car from Bordeaux. Sea, sun, oysters, and white wine. 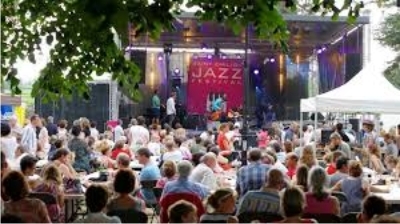 22-24 July 2016, St Emilion Jazz Festival: In this beautiful setting you will be entertained by some of the best jazz musicians around. The majority of concerts are free and you can enjoy a gourmet food market from local artisans and producers, a pop up St Emilion wine bar, a boutique and photo booth, a festival shop and an assortment of games and attractions throughout the weekend. 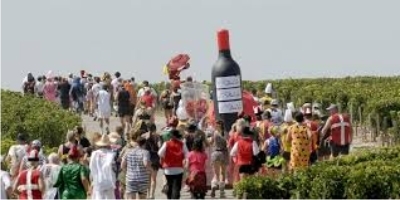 10 September 2016: Medoc Marathon: It’s a marathon, but through the most famous vineyards in the world. A kind of wine-centric run with wine rest stops and crazy costumes encouraged. 13 September 2016, Jurade de St Emilion: The most picturesque of Bordeaux’s medieval villages, St Emilion is synonymous with fabulous wines, and its autumn festival is one of the most prestigious. Dating back to 1199, the Jurande is a celebration of some complicated political history, giving the rights of the area from King John to the locals, along with the control and quality of the wine. Local winemakers open their cellar doors and estates for two days to mark the start of the harvest. 22-23 September 2016, flea market and wine tasting: Takes place in Chartrons district and in particular in Notre Dame Street, famous for its second-hand stores. 30 September-2 October 2016: Au bon goût d’Aquitaine (Avenue Thiers, Bordeaux): a market of local products Snails, cheese, ham, oysters and of course wine – loads of local products to discover in this famous market. Last weekend October: New Wine and Antiques Festival: celebrate the year’s “new wine”–the golden bubbly run off from the current harvest–along the cobblestone streets of Chartrons, the heart of Bordeaux’s wine commerce from the 17th century to the mid-1900s. There are street musicians and sidewalk sales, but the highlight is on Sunday morning, when the priest blesses the wine in front of the neo-gothic Saint-Louis des Chartrons church. Drinking wine, in front of a church, with the priest’s blessing? Only in France! 18 -20 November 2016 Bordeaux S.O. 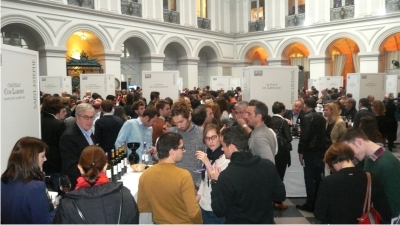 Good urban and Gourmet Food Festival: “Bordeaux So Good” is the festival of epicurean and gourmet food. It’s a 3-day theatre of the French art de vivre and the country’s south-western gastronomy. Several chefs will be cooking with local products in iconic heritage sites throughout Bordeaux, such as the “Palais de la Bourse”. The program for this weekend will feature the art de vivre and gastronomy of Bordeaux, and exclusively local products. A farmers and fish market, an abundance of different foods, and a delicate tasting of 7000 gourmet dishes cooked by a collective of chefs will all be presented throughout the festival. 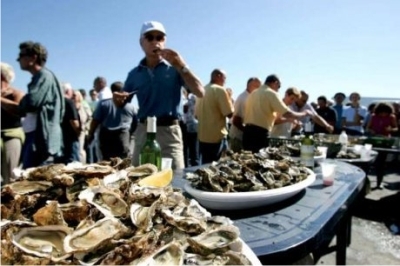 6 December, 2016, Cabanes En Fête Oyster and Wine Festival: Fresh bay oysters and crisp Entre Deux Mers plus food stands and local bands on the first Saturday of December at the port of Andernos-les-Bains, a charming village on the Arcachon Bay an hour by car from Bordeaux. Sea, sun, oysters, and white wine. 10-11 December, 2016, Bordeaux Tasting no 5, Palais de la Bourse de Bordeaux: Located at the Palais de la Bourse in Bordeaux, “Terre de Vins” offers two days to enjoy a hundred great Bordeaux wines, Champagnes, including prestigious brands came from Reims or Epernay, and guests from other vineyards in France – Burgundy, Rhone, Alsace Loire.